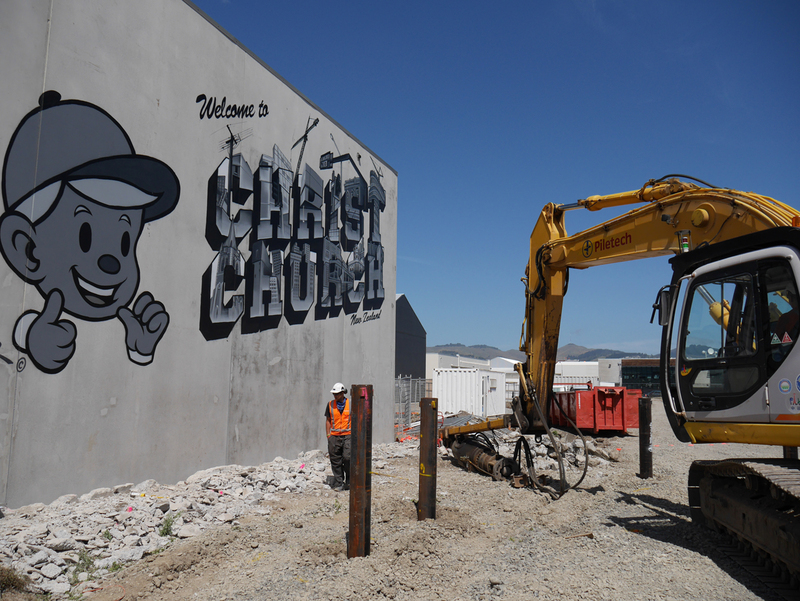 With a vision to bring people back into central Christchurch following the 2010 and 2011 earthquakes, Fletcher Living agreed a partnership with MBIE (Ministry for Building Innovation and Employment in New Zealand) to redevelop the old Atlas Foundry in Welles Street, close to Christchurch CBD, into a medium-density residential development. Designed to be a vibrant new community, the redevelopment will include 191 new homes, a mix of apartments and terraced housing. 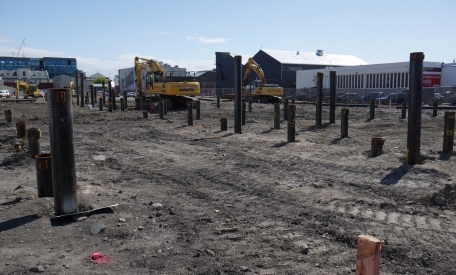 Challenging ground conditions necessitated a well-considered foundation solution, so Fletcher Living engaged Piletech and Brian Perry Civil during the tender phase to identify the right approach. This early involvement was crucial to developing a cost-effective solution. 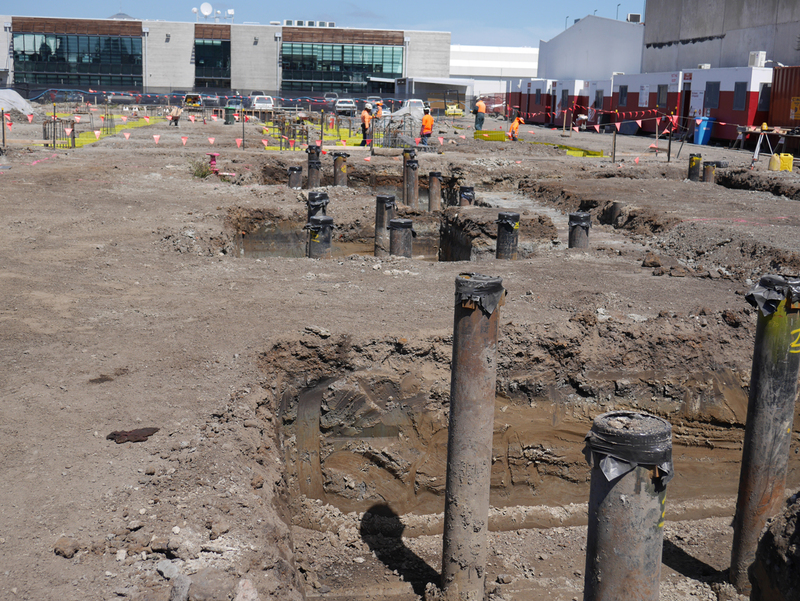 Piletech’s long-standing relationships in Christchurch also played a key role in the selection of the structural consultant to design the project, Aurecon. Piletech undertook a range of multiple load tests for compression and tension, before recommending the final solution. The development was split into three buildings. 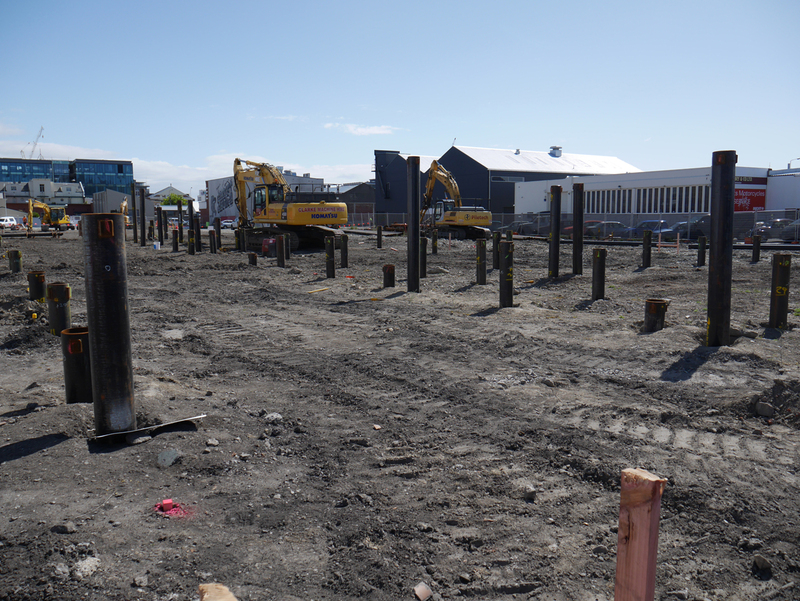 Piletech installed 138 piles for each of building two and three, between 273mm in diameter and 245mm in diameter. The piles, which took up to seven hours to install, reached a depth of 29 metres. Building one had 56 piles, all 245mm diameter pipe requiring a founding depth of 7 metres. In total 4.2 km of pipe was installed. 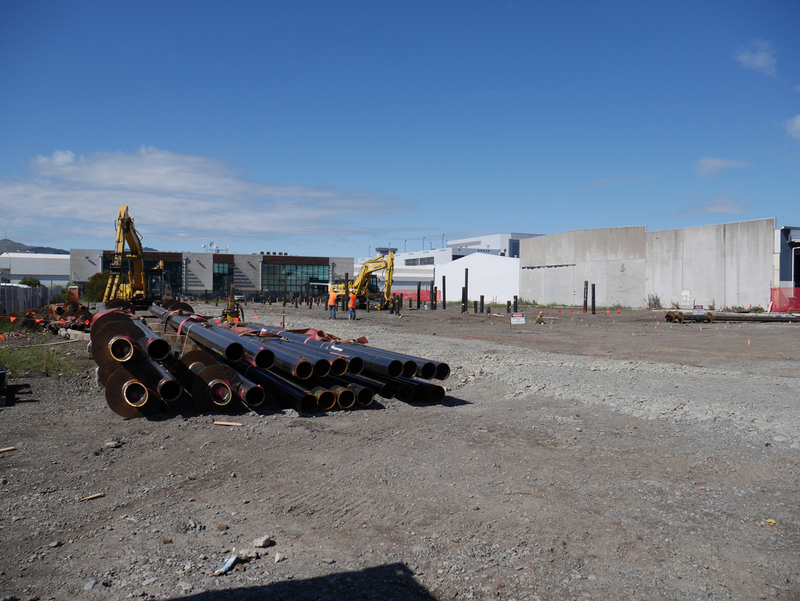 This pipe was filled with 190m³ of concrete and 2,514 metres of reinforcing was installed.